Get ready for the grand opening of PEOPS, a gallery show featuring "a collection of portraits & stories of people by Fly. Each page contains a new face surrounded by words - for the most part the words are a story that the person tells about themselves or about something they experienced or about something they heard..." at the Lower East Side Girl's Club on Thursday November 10th, 6-8pm. Check out the PEOPS website for more information about the show! There will be some fabulous readers and amazing art happening that night, so go to their Facebook event and press that Attending button right away! Opportunities for Book Artists at Women's Studio Workshop! 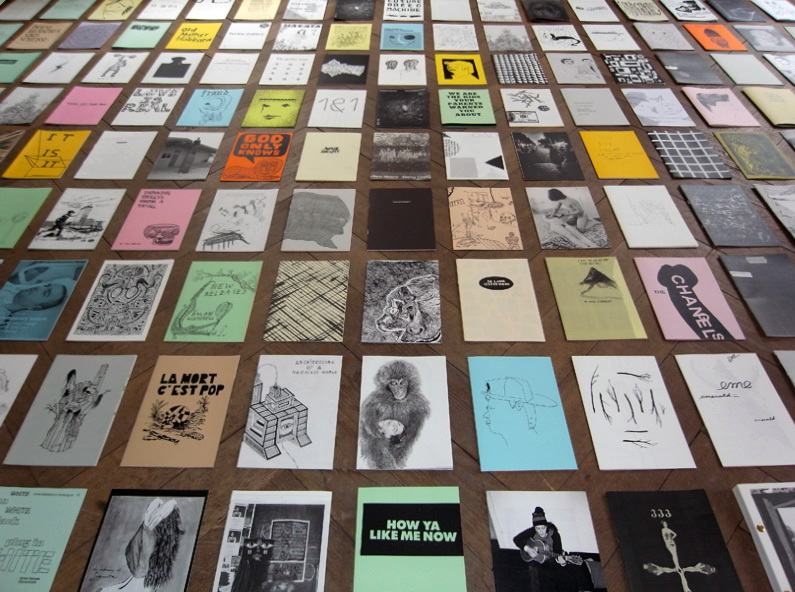 Postmark your applications for ARTISTS' BOOK RESIDENCIES by November 15th! There are two different opportunities to edition your own book work at Women's Studio Workshop, click more for info. New to us minicomic compilation: Unladylike by The Ladydrawers: Zines L3393u 2011.